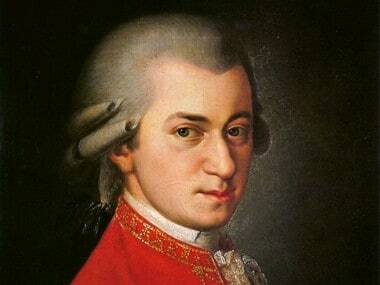 London: Listening to music legand Mozart can not only soothe your mood but also help lower blood pressure as well as stablise the heart rate, new research has found. The findings showed that listening to classical music maestros Wolfgang Mozart and Johann Strauss the younger for 25 minutes could lower blood lipid concentrations and heart rate. The study analysed 60 participants who were exposed to 25 minutes of music by Mozart, Strauss or ABBA — a Swedish pop group formed in Stockholm in 1972. Another group of 60 participants were allocated to a control group that spent their time in silence. Mozart lowered the systolic (upper reading) BP — the pressure in blood vessels when the heart beats — by 4.7 mm Hg, Strauss by 3.7 mm Hg, whereas no substantial effect was seen for the songs of ABBA. Diastolic (lower reading) blood pressure — when the heart rests between beats — also fell by 2.1 mm Hg for Mozart and 2.9 mm Hg for Strauss. "It has been known for centuries that music has an effect on human beings. In our study, listening to classical music resulted in lowered blood pressure and heart rate. These drops in blood pressure were clearly expressed for the music of Mozart and Strauss," said Hans-Joachim Trappe und Gabriele Volt of Ruhr University Bochum in Germany. "But Mozart's music had the strongest effect," he added. Further, resting in a supine position also resulted in blood pressure lowering, but the effect was far less pronounced than for exposure to the music of Mozart or Strauss. In addition, after exposure to the music of Mozart and Strauss cortisol levels was found dropped more in men than in women. 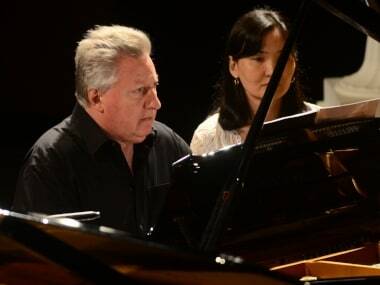 Quiet music of a slow tempo, long legato phrases and unchanging dynamics are regarded as beneficial for the cardiocirculatory system, said the paper published in the journal Deutsches Arzteblatt International.